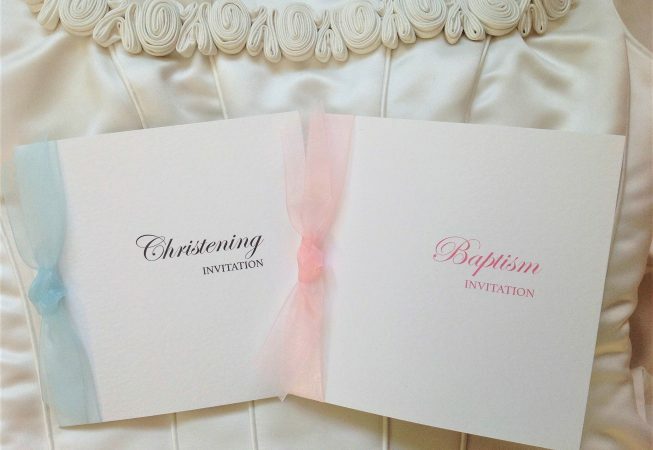 Personalised Square Folding Christening Invitations, Baptism Invites, Naming Ceremony Invitations and First Holy Communion Invitations. 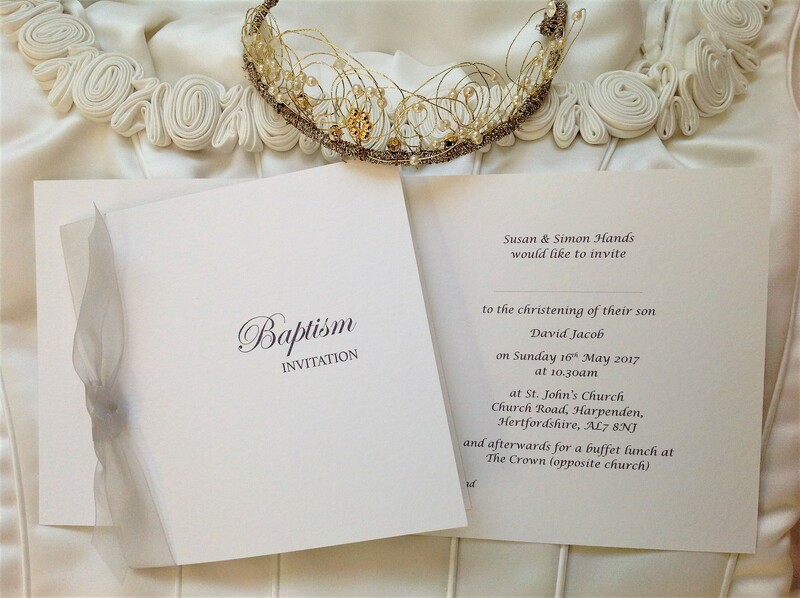 Square folding christening invitations are printed on a top quality heavy weight (270gsm) hammered card and are available in white or ivory. 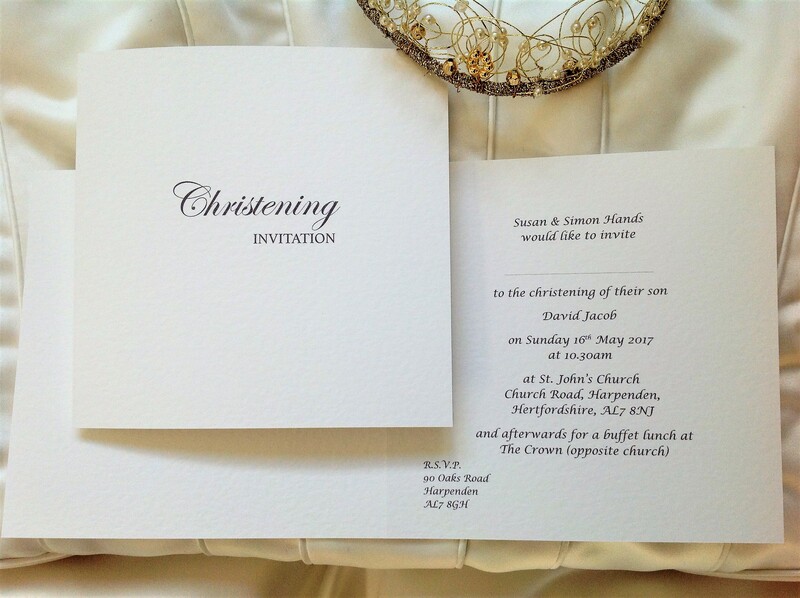 Invitations include all personalised printing and a matching hammered envelope. 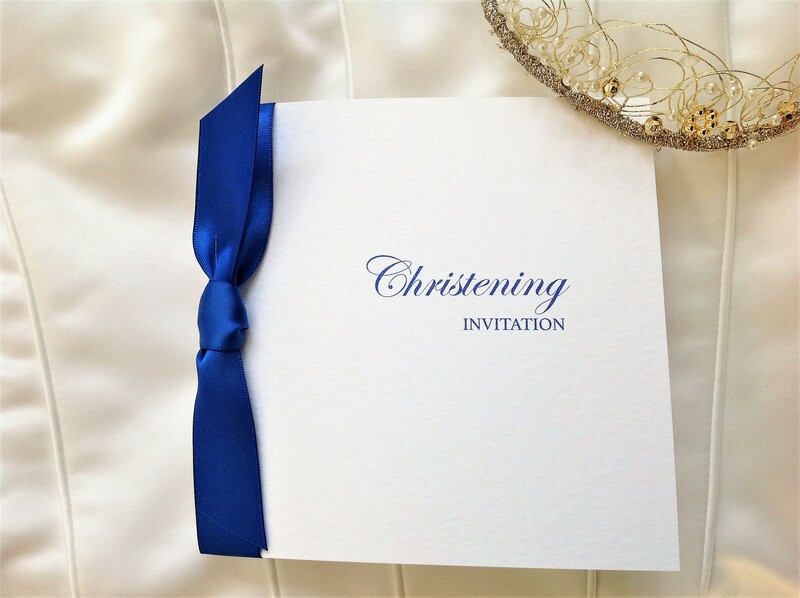 Christening invites are available with or without ribbon and we have a huge range of ribbon colours available in both satin and organza. 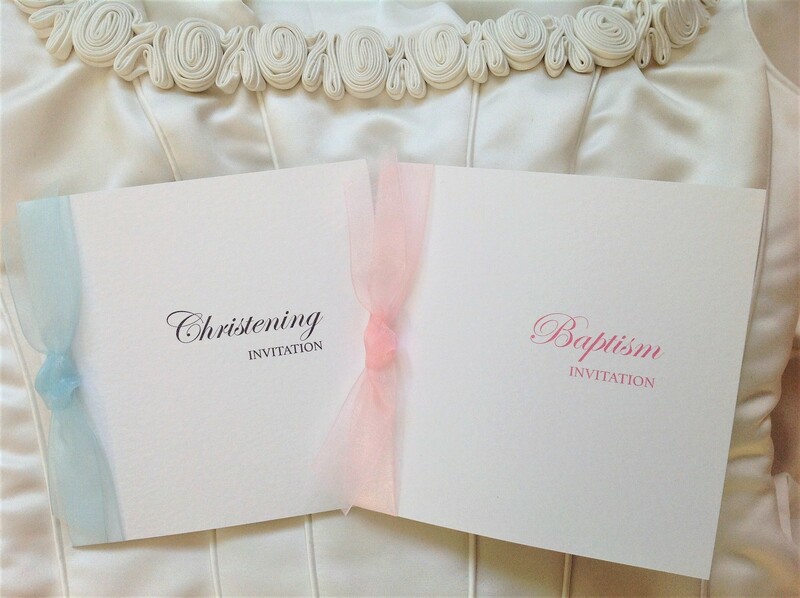 we can adapt the wording of the invitations to suit a Baptism, Naming Ceremony or first Holy Communion.